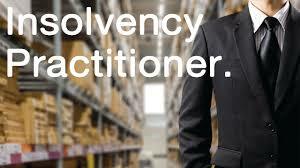 Who is an insolvency professional? An insolvency professional is an individual appointed under insolvency and bankruptcy code, 2016 who has the authority to act with respect to a corporate debtor, insolvent individual or partnership in case of insolvency proceedings. Insolvency professional is one of the key pillars of the insolvency and bankruptcy code who is vested with the power of taking charge over the entire management and business of the company undergoing insolvency proceedings. Insolvency professional is appointed by the insolvency professional agencies after obtaining the license from the insolvency and bankruptcy board of India, an insolvency professional is assigned with the functions of interim resolution professional/ final resolution professional provided under this act. Along with the abovementioned functions, there are two major states in which insolvency professional plays essential roles i.e. in Resolution Process as a Resolution Professional and as a liquidator during the liquidation process. For viability of the credit market insolvency resolution is adopted which entails the maximization of the value of the assets of the corporate debtor and providing assurance to the stakeholders, financial and operational creditors. If Insolvency Resolution, Fresh Start, Liquidation or Bankruptcy process has been initiated it will be the responsibility of the Insolvency Professional to take such necessary actions for the above-said proceedings, under section 208(1) of Insolvency and Bankruptcy code. Under section 206 every Individual to perform the functions as Insolvency Professional has to get enrolled with the Insolvency Professional Agency and registered under the Insolvency and Bankruptcy Board of India. Comply with all the terms mentioned in the bye-laws of Insolvency agency under which he is registered. Submit the copy of records, before the adjudicating authority, of every proceeding to the Insolvency and Bankruptcy Board of India as well as Insolvency Agency with which he is enrolled. To enroll as an Insolvency Professional an individual has to qualify the eligibility criteria set under insolvency and bankruptcy code, 2016. Insolvency professional must not have been convicted by any competent court of any offense involving moral turpitude or any offense punishable with imprisonment for a term exceeding six months, and a period of five years has not elapsed from the date of expiry of the punishment. No person who has been convicted of any offense and sentenced to imprisonment for a period of seven years or more is eligible to be enrolled as insolvency professional under IBC. Any person who has been an undischarged insolvent or has applied to be adjudicated as an insolvent cannot be registered as insolvency professional. Insolvency professional must of sound mind. He must be a person of Integrity. He must hold good reputation and character. He must be financially sound. There are following ways to get enrolled as an Insolvency Professional provided the individual qualifies the eligibility criteria. To become an Insolvency Professional an eligible individual can appear for national insolvency examination set by Insolvency Board of India. Any individual appearing for this examination does not necessarily require any prerequisite experience unless Insolvency Board of India officially announce. Any person who is a qualified Chartered Accountant, Company Secretary, Cost Accountant or Advocate has been in practice for not less than 15 years of a time period can apply for registration as an Insolvency Professional for a limited time period. The applicant has to submit the application fee of Rs. 5000 along with the application. And once the time period for which the Insolvency Professional was appointed expires, that individual cannot take any assignment as Insolvency professional.